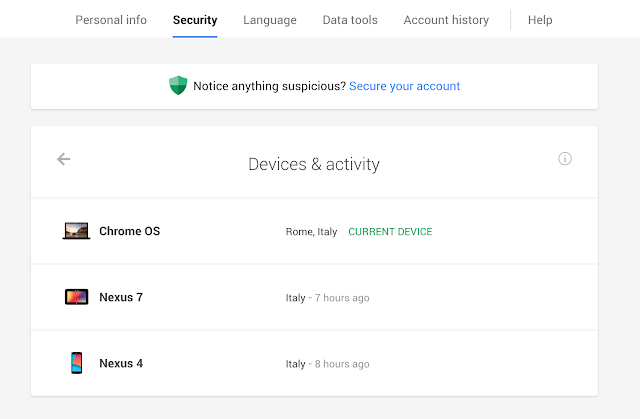 Google recently launched a new Devices and Activity dashboard that gives you a view of all the devices that have accessed your Google account. This allows you to see if anyone else may have accessed your account. You can remove the device, secure your account and change the password. This is a great way to make sure your account is secure. You can also check mobile devices and make sure that you have secured them so no one else can get access to the account through these devices.